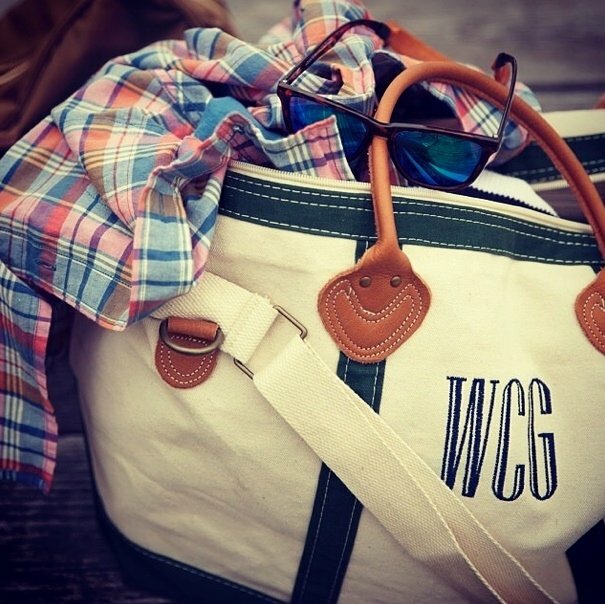 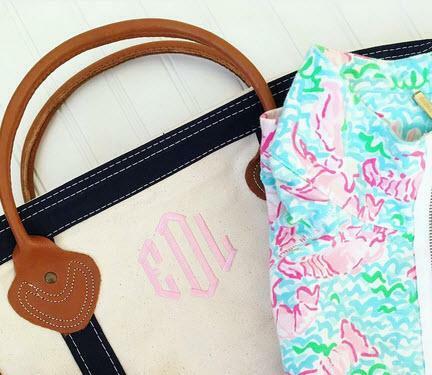 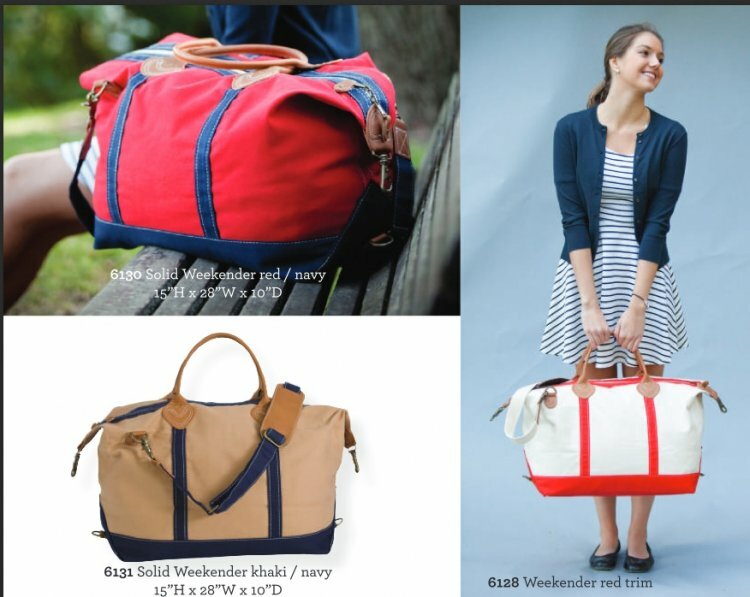 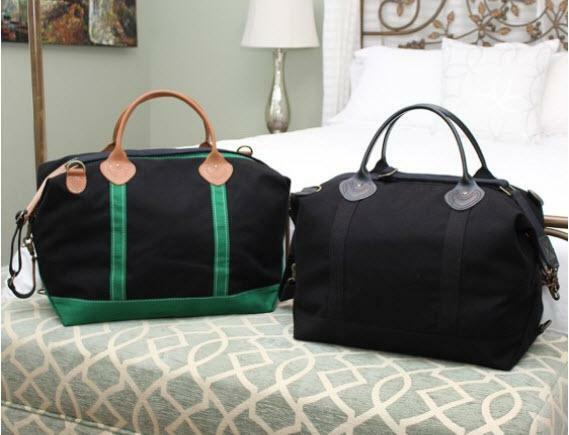 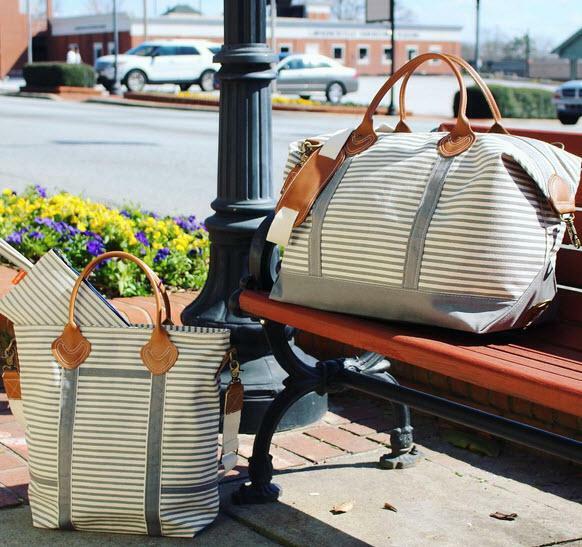 Our best selling weekender bag is back and in so many colors. 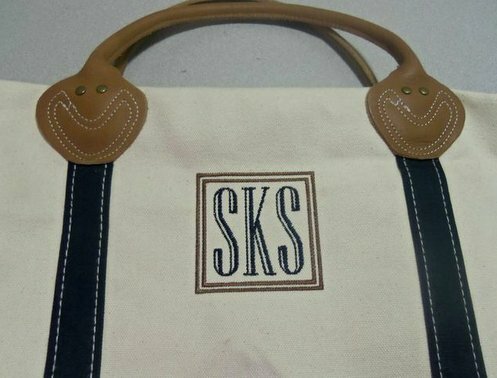 Personalize this sturdy tote bag from our many font choices. 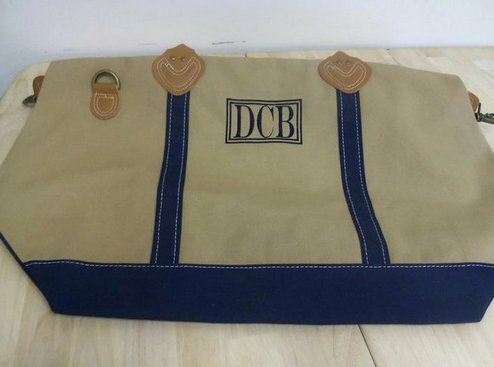 Choose from our traditional cotton canvas with bold trims. 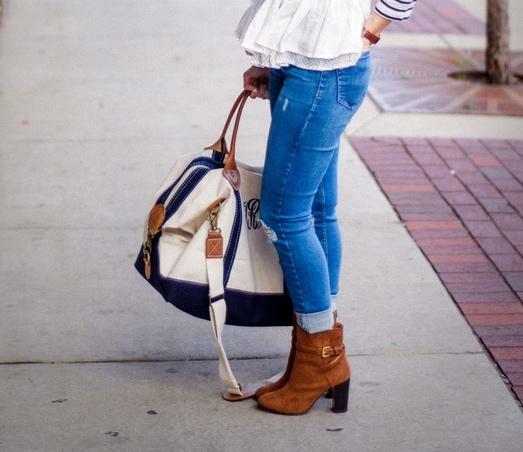 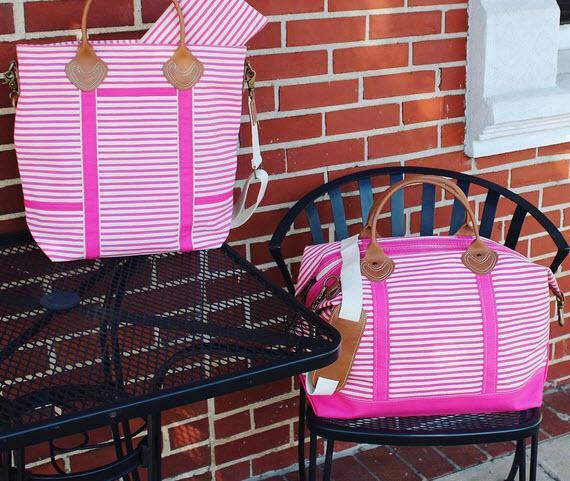 Perfect to carry everything for a quick weekend get away. 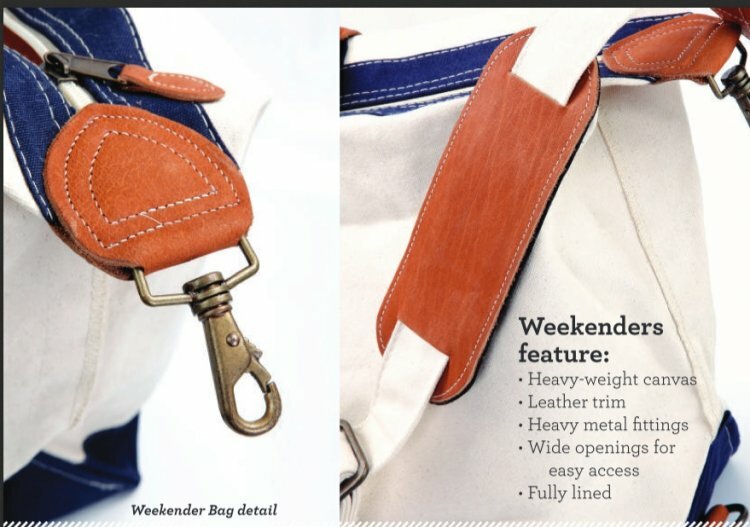 Sturdy over the shoulder strap makes it easy to carry. 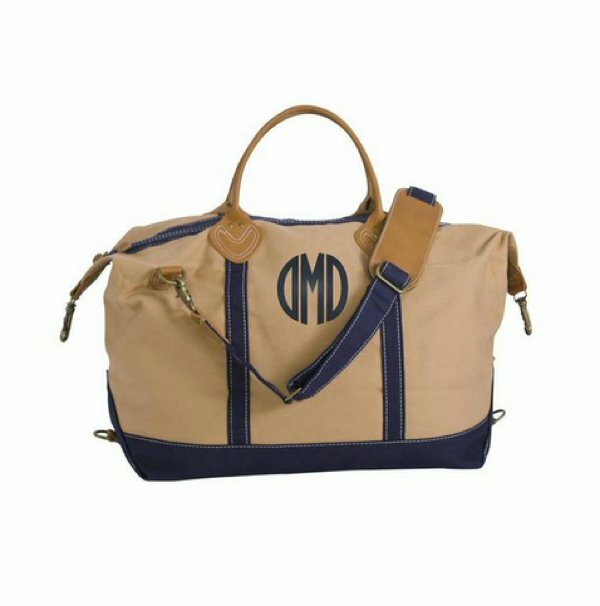 We also have a round duffel like this one but larger. 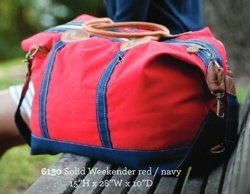 Choose your color weekender bag.